Nobody wants you viably employed more than the KWI team. 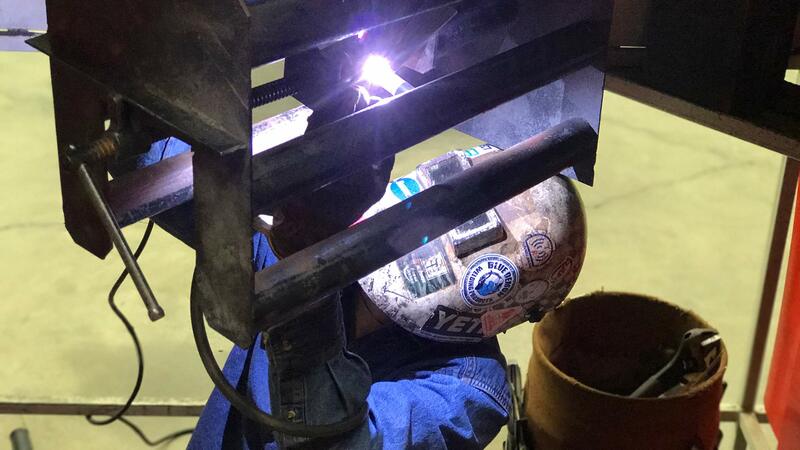 Job placement for you is the ultimate goal and our local, state, and national ties to the industry will aid in placing you in the welding career path you desire. Graduates receive Lifetime Job Placement Assistance with KWI. Based on your Welding Curriculum Path choice, employment is available in a variety of fields. If your interests change you can always specialize a KWI curriculum to build on your KWI skills and open doors to a variety of career options. Graduates of KWI earn an annual 2 weeks of free brush up. That’s 2 weeks of booth, metal, rods, and instructor assistance to help you hone skills that have dulled with time. For more information call KWI representatives or chat now. According to law, Kentucky Welding Institute cannot guarantee employment to our students or graduates. You will, however, have a team of motivated individuals knowledgeable about the welding industry working hard to help you find employment.